We love that our kitchen & bar stay open all day. We think you'll come to love it too. Invite your friends, bring the dogs, find a sunny spot in the garden & relax ... you've got all the time in the world. The Green Man is a dog friendly traditional British pub, owned by the villagers of Thriplow and the surrounding community, and run on their behalf by Chris & Rebecca. We are known for our variety and well kept real ales, but that's not all we have on tap. Whether you are in the mood for a coffee, bloody mary or a glass of bubbles, The Green Man will quench your thirst. Our menu at the Green Man is small, seasonal & daily changing. All of our dishes are cooked to order and the menu changes everyday to fit in what we can source from our suppliers. We celebrate the variety and quality of British produce and whole heartedly support British producers, so please ask us about our food... we can't wait to tell you all about it. The Green Man is just a wee pub, but as they say, great things come in small packages. The atmosphere is cosy, warm and inviting, what more could you ask for? No matter if you have your eye on a armchair by the fire, a stool at the bar, or fancy dining more formally, we have the perfect area for you. 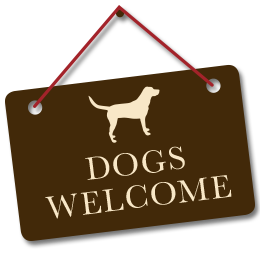 Whether you are out with the kids, the boss, the Mrs or the dog, you will find us welcoming, and accommodating. The village is famous for the Thriplow Daffodil Festival which takes place every spring. The Green Man is also just 2 miles from the Imperial War Museum in Duxford, and makes a good refreshment stop either before or after your visit to the museum. Thriplow, just off the A505 & M11 junction 10. Seven miles south of Cambridge, close to the Duxford Imperial War Museum and a short drive from Stanstead airport. We are The best of both worlds, we live in rural bliss, but are still super duper connected! Take a look below at some recent pictures of The Green Man Thriplow. Come & visit next time you're in our neck of the woods.